On behalf of Film Buff and Ironwood Gang, we are excited to announce IMDb has debuted the NEW Trailer and poster for the upcoming sci-fi drama THE PHOENIX PROJECT. 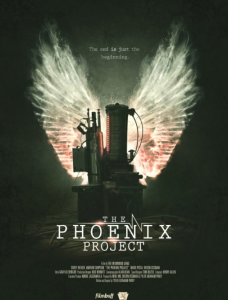 A thrilling story following four young scientists and their pursuit to reanimate dead organisms, this film is opening in select theaters & on VOD/Digital Download this January 16th, 2015! 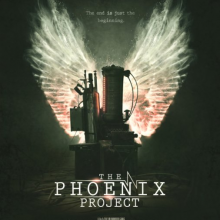 Synopsis: Four young scientists work to craft a machine to reanimate deceased organisms. As the project develops, the machine exceeds their wildest expectations, creating boundless possibilities that challenge the very nature of human existence. However, success with this experiment comes at a price, as ulterior motives and reckless abandon lead to consequences none of them could predict. As their time and resources fade, this team of visionary scientists must face the realities of the task they have set out for themselves, bringing the dead back to life.